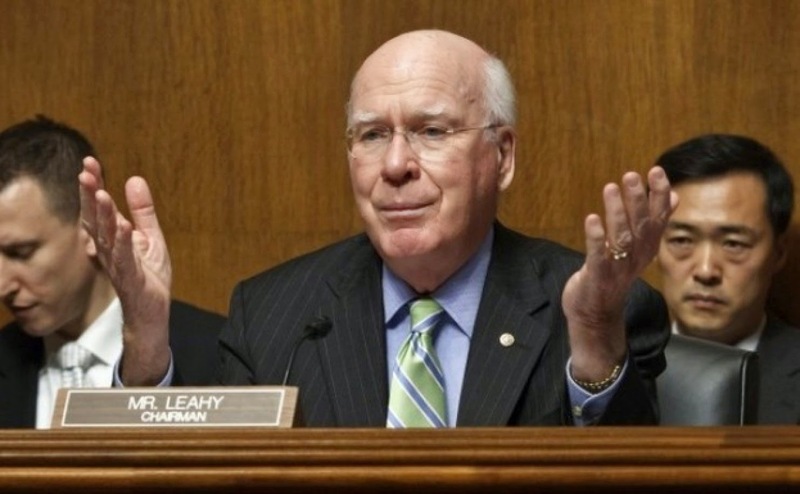 U.S. Senate Judiciary Committee Chairman Patrick Leahy on Thursday pressed large Internet providers to pledge that they will not strike deals that may help some websites load faster than others or give similar "fast lanes" to affiliated services. As regulators work on new so-called "net neutrality" rules, Leahy wrote to chiefs of AT&T Inc, Verizon Communications Inc, Time Warner Cable Inc and Charter Communications Inc. In his letters, similar to one sent to Comcast Corp on Monday, Leahy asked the leading Internet service providers (ISPs) to formally commit to no so-called "paid prioritization" deals in which content companies could pay Internet providers to ensure smooth and fast delivery of their traffic. The Federal Communications Commission has received 3.9 million comments after it proposed new web traffic rules that would prohibit ISPs from blocking content, but suggested allowing some "commercially reasonable" paid prioritization deals. Large ISPs, including Verizon, Comcast and AT&T, have been asserting that they had no plans for such paid prioritization arrangements and FCC Chairman Tom Wheeler has said he would not tolerate anti-competitive or anti-consumer prioritization deals. Nonetheless, consumer advocates and other critics are concerned that opening the door for paid prioritization, could create "fast lanes" for some content and so relegate other websites and applications to "slow lanes." "These types of arrangements pose a significant threat of dividing the Internet into those who can afford to compete and those who cannot," Leahy, a Vermont Democrat, wrote in his letters. Comcast has said it was reviewing Leahy's letter and a Verizon representative did not comment on Thursday. Spokespeople for AT&T, Time Warner Cable and Charter did not immediately have comment. Letters from Leahy, a key lawmaker on antitrust issues, come at a time when the Justice Department and the FCC are reviewing two major merger proposals: a $45 billion deal between Comcast and Time Warner Cable and a $48.5 billion deal between AT&T and satellite TV provider DirecTV. As part of its merger deal, Comcast planned to sell a portion of its subscribers to Charter. Comcast is the only large ISP bound by the 2010 version of net neutrality rules, which discouraged paid prioritization but were struck down in court in January over another issue. Comcast has to continue abiding by those rules until 2018 as a condition of a merger with NBC Universal.